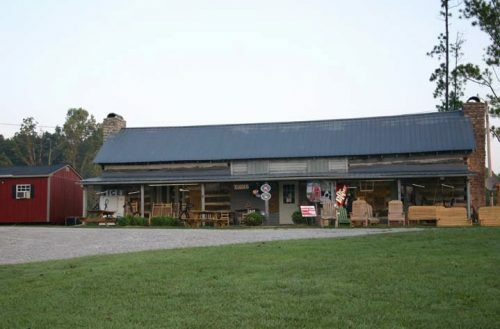 Located in the foothills of Southern Tennessee, Mama J’s Cabin & Powder Horn Campground sit on Highway 64, between Lawrenceburg and Pulaski. With 30 RV hookups and 10 cabins, we have all the space you need to spend time with family and friends at our campsite. Visit any of the nearby attractions or stop by our gift shop for souvenirs that help you remember your stay with us! Looking for a place to pull over and rest your weary eyes while you relax and unwind? Mama J’s Cabin & Powder Horn Campground welcomes you! We’re not like other RV campgrounds in Lawrenceburg, TN! We offer travelers a safe, secure, secluded place to pull over, hookup and unwind. With 30 campsites and 10 cabins, we give you all of the space and privacy you want. Expect quiet, calm and serenity throughout your stay with us—whether you’re just passing through or you’re setting up for an extended stay. Each campsite is designed to accommodate you, and every cabin is clean, welcoming and enjoyable. Expect nothing short of the best hospitality when you stay with us! Our RV campsites and cabin rentals in Lawrenceburg, TN are located just a short distance from numerous great attractions, so you can continue to explore while you’re staying with us. Visit the ever-popular Jack Daniel’s Distillery or the historic Shiloh Civil War Battlefield, alongside many more local destinations that are sure to pique your interest. We’re also right in the middle of Amish country, which means there’s plenty to see, eat and experience all around us! Stop by the gift shop on your way out and grab a memento of your stay with us. We promise that if you’re ever back in the area, you won’t think twice about staying at Mama J’s Cabin & Powder Horn Campground again! We’re a local, family-owned and –operated business with strong roots in the Lawrenceburg, TN community. Our RV campgrounds are secure and well-protected, giving you peace of mind throughout your entire stay with us. We have 30 total RV hookups and 10 cabins, allowing us to provide you with the space you need to enjoy your stay with us. We’re located close to numerous attractions and destinations, all within 45-60 minutes away. Don’t forget to visit our gift shop, where you’ll find tons of great trinkets and souvenirs to take home with you! Whether you’re with us for a few days or a few weeks, we welcome you to our campgrounds with open arms. Enjoy peace and quiet, with enough space to relax as you vacation.